After a widely successful initiation in 2011, Hendricks County’s Civil War Heritage Days celebration is back again this year, with an even wider selection of events and activities during the two-day festival in the heart of Danville, Indiana, on June 23 and 24. One particular addition is a Grand Ball on Saturday evening in the Courthouse Rotunda. 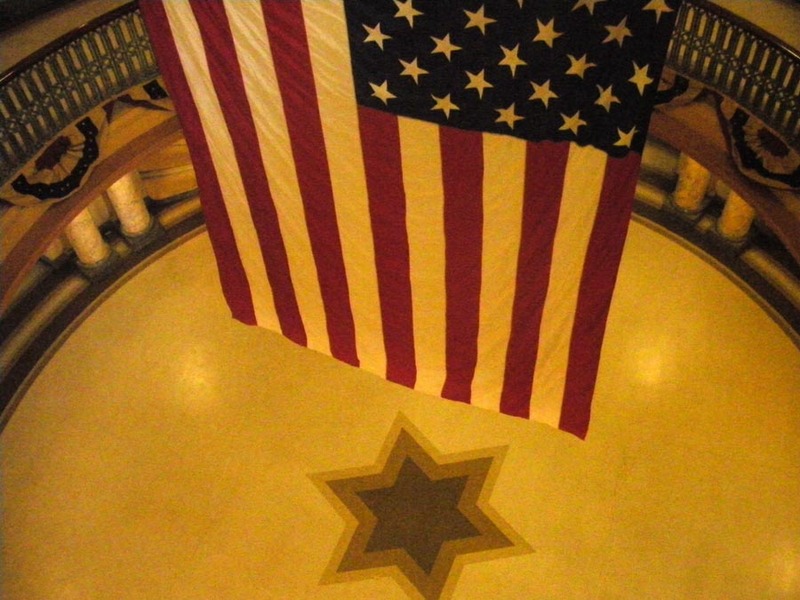 After many re-enactors participating last year requested a Grand Ball, the organizers at the Hendricks County Historical Museum and Danville Public Library added it to this year’s schedule of events. 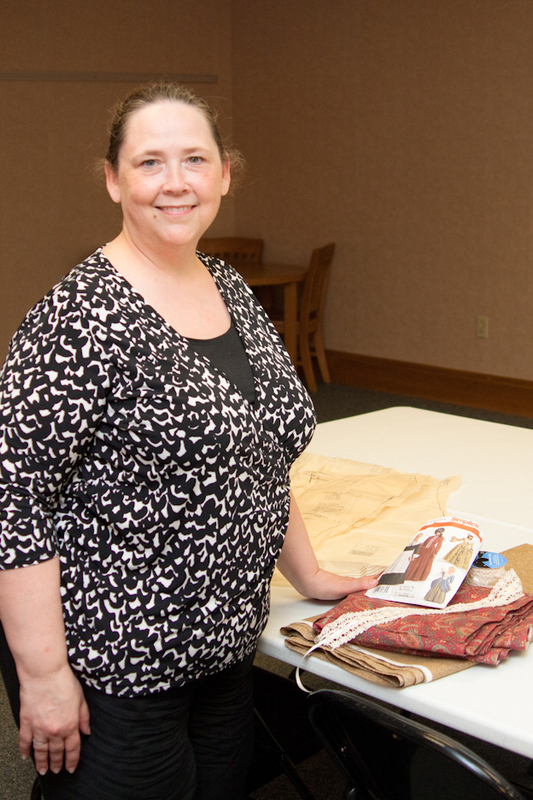 To help participants prepare their period ensembles for the Ball, organizers hosted three free clothing workshops at the Danville Public Library. 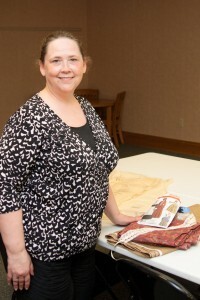 I stopped by the final workshop on Saturday, June 9, and chatted with seamstress Candy Smith about her tips for putting together a period-correct outfit. The DIY route: Making your own Ball attire If you’re going to make your own gown for the Ball, Candy recommends darker-colored fabrics with natural fibers, such as 100% cotton or cotton sateen for more authenticity, and you should expect to use perhaps 10 yards or more of fabric for a gown — and that’s not counting the undergarments! Most dresses had hoops underneath to add volume, and sleeves were worn to the elbow or wrist. Candy suggested a couple sewing patterns for gowns: Simplicity 3723 is one option, as is McCall’s 6097. Simplicity also makes a Civil War-era pattern for men, which includes the multitude of hidden, functional pockets that were customary in men’s uniforms at the time. For truly appropriate fabric and supplies, sutlers — retailers that specialize in selling army provisions — offer a variety of materials. 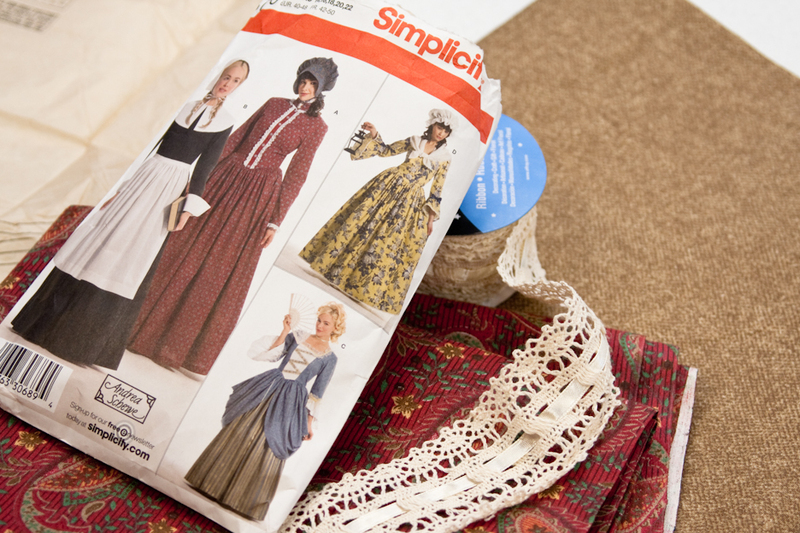 Fall Creek Suttlery in Lebanon, Indiana, is one local option that carries Civil War supplies for re-enactors, though you can also find inexpensive cotton fabric at retailers like Walmart or Jo-Ann Fabrics & Craft Stores. The in-your-closet route: Come in your Sunday finest Not a seamstress? Don’t let it keep you away. People of all ages are invited to the ball, and you can come in your “Sunday best” or formal evening attire. If you’d like to participate and learn some dances ahead of time, you can attend a free dance workshop being held at 7 p.m., June 22 on the second floor of the Hendricks County Convention and Visitor’s Bureau, in the Crawley Business Center, 8 W. Main St., on the north side of the square in Danville. You’re welcome to enjoy some refreshments and just observe from the sidelines, too. Tickets for the Grand Ball are $10 each and are available at the libraries in Brownsburg, Clayton and Danville. Learn more about the full weekend’s activities on the festival’s website. See you at the Ball!